Meet the Beatles for Real: Interview with S. Cardinal - author of a brand new book about Tittenhurst Park! 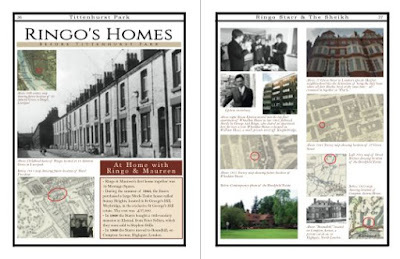 Interview with S. Cardinal - author of a brand new book about Tittenhurst Park! Having ran this blog for a little over 8 years now, I have discovered that Beatles fans love hearing about the houses the Beatles lived it. I always knew that I enjoyed learning about the houses, but I thought I was alone. Boy was I wrong. Whenever I look at blog statistics, I find out that the names of the Beatles homes are always at the top of google searches. The Cardinal has been publishing books about the Beatles home over the past several years: Friar Park and the Dakota have been already published. But he has tackled his biggest venture yet: Tittenhurt Park! He was kind enough to be interviewed for this MTBFR exclusive. Q: Tittenhurt is of great interest to Beatle fans because both John Lennon and Ringo Starr lived there. When did each Beatle live there and who lived them with him? A: Once John & Yoko got together they sort of bounced around a bit, from Kenwood, to McCartney's home near Abbey Road, to Ringo's house, and then Ringo's apartment at 34 Montagu Square, and so on. It must have been very frustrating to not have a place to call their own. Especially following their marriage on March 20, 1969. In May of that year Lennon wanted to buy Peter Sellers' house ("Brookfield"), but Sellers refused to sell it to him because he had already promised to sell it to Ringo for £70,000. Lennon then offered Sellers £150, 000 for his house, but Sellers turned him down again because he wanted to keep his word to Ringo. After some further searching, Tittenhurst Park seemed to be the best place to begin their lives together. They lived in the house on their own, though there was a very large room for Julian to stay in when he came to visit. On the property were several guest cottages and even another house. So Yoko asked her friend Dan Richter to live in one of them with his wife. Together, they became John's & Yoko's assistants. Dan wrote all about it in his excellent book, "The Dream is Over." John & Yoko only lived at Tittenhurst Park from the summer of 1969 to the summer of 1971, when they moved to New York City in their quest to try to find Yoko's daughter Kyoko, among with other reasons that everyone already knows about. Though Dan and his wife remained on the estate for awhile, and Lennon's personal assistants Paul & Diana were also around, the house itself remained empty. However, in 1972 Ringo directed a wonderful scene on the property for his documentary entitled "Born to Boogie." The documentary showcased Glam Rock superstar Marc Bolan. The scene is referred to as the "Tea Party Medley" and is sorta surreal, with Bolan singing and a few nuns eating burgers, and all sorts of wild stuff going on while Tony Visconti conducts a string quartet on the lawn. It's great stuff. Ringo purchased Tittenhurst Park from Lennon in 1973 and moved in with his first wife Maureen Cox. Their children Zak, Jason, and Lee were all born by then. At the time, Maureen's parents lived in the gate house. Unfortunately, Ringo and Maureen divorced in 1975 and the house was abandoned as a full-time residence. For tax purposes, Ringo allowed the house and recording studio to be rented out so that professional musicians could stay there and record at their convenience without having to deal with the escalating costs associated with renting studio time in London, or elsewhere. At that point Ringo had Barbara O'Donnell come over from Apple to be his personal assistant, and hired her husband Mike to be the Studio Manager of Ringo's Startling Studios. While doing so, they lived in one of the guest cottages on the property. Soon after, they hired David Tickle to be the in-house engineer. He lived in the southwest wing of the house, above the kitchen and studio. Ringo hired an Estate Manager to care for the gardens, etc. and he and his family lived in the gatehouse. On April 27, 1981 Ringo married Barbara Bach and they made Tittenhurst Park their home in the U.K. I'm not certain, but I assume her young children Francesca & Gianni (from her marriage to Augusto Gregorini) lived there, too. Q: We see some of the grounds in the "Imagine" film, and can tell that there is a lot there to see. What else besides the main house is located at Tittenhurst? A: The amount of property has changed over time, but at the time Lennon and Ringo lived there it was a bit over 70 acres. There was a manor house in the 1700s, but it burned down and another was built on the same footprint, but in the popular architectural style at the time. On the estate were also stables, garages, a gate house, a structure built in the Cape-Dutch style, that all Beatles' fans have seen since there are famous photos of The Beatles leaning against the entry door. There was also a two-story building referred to as the "Forge Cottages" because they used to be for the blacksmiths, etc. who worked at the smithy located on the property to the west of Tittenhurst Park. Q. Just how big was the house? How many rooms? Did John or Ringo use all the rooms? A: ​It was a big house, with a variety of large rooms with expansive windows, some of which opened as doors for the benefit of cross-circulation and to allow access to the grounds. The # of rooms changed over time, but most people are clearly familiar with the "White Room" which was essentially empty with the exception of Lennon's white piano and a variety of Perspex pieces that Yoko used at art galleries. John & Yoko spent most of their time in their large bedroom, but many of the rooms were not used as living space, but more for storage purposes. Because of their children, and visiting friends, Ringo and his family treated Tittenhurst Park more like a home. Q: John and Yoko left for the USA in 1971, and thought at the time that they would return to Tittenhurt. Of course John's immigration case made it so that he couldn't leave the United States. What happened to all of John and Yoko's stuff? Did Ringo get it with the house? A: There are unusual stories out there about Ringo hiring someone to burn Lennon's possessions. That seems rather unlikely considering their possessions ended up at their large Dakota apartment years later. But Ringo did inherit quite a number of items such as the Refectory Table that J&Y kept in the kitchen, and of course those wonderful busts that were seen in the photos of The Beatles at the Cape-Dutch cottage, one of which could even be seen on the Sgt Pepper cover. Q: How easy would it have been for a fan to have come onto the property to visit? Besides Claudio, I am not aware of any other fan meeting John or Ringo there. Did it ever happen? 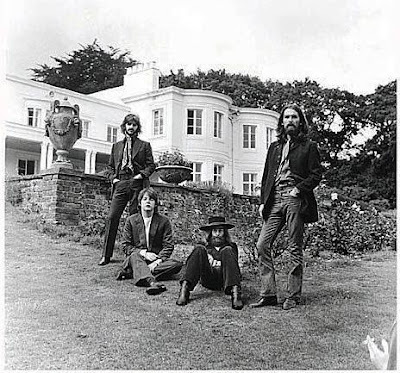 Prior to Lennon buying the property, Tittenhurst Park was open to the public at least one day a year, for neighbors to be able to appreciate the fabulous collection of trees. For security purposes, Lennon put an end to that right away. A lot of people came and went, but John and Yoko were not always there, and even when they were, it was okay. L​ife was different back then. Especially in England. The Claudio situation was certainly creepy to watch in the Imagine film, but Lennon was surrounded by plenty of people so there was no fear in that situation. ​ If there were any other peculiar situations with fans popping in, I am not familiar with them. Though there is a good story out there about cult folk musician Nick Drake wandering around the empty house , etc. while visiting Lennon's assistant. 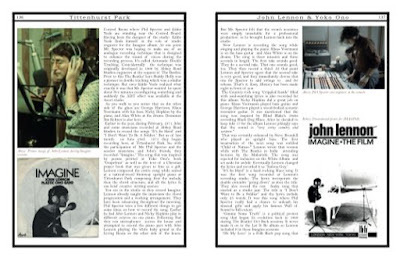 Q: John built a studio there. What albums/songs were recorded at that studio? 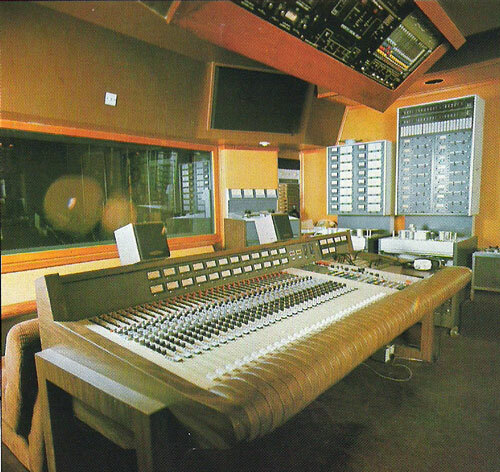 A: ​The studio was considered to be the first professional residential recording studio in the UK. That in itself is very amazing. It was designed by an engineer named Eddie Veale, along with David Dearden who put together the mixing consoles, etc. Portions of the John Lennon/Plastic Ono Band​ album were recorded there, though they recorded most of it at Abbey Road. But much of the Yoko Ono/Plastic Ono Bandwere recorded at Tittenhurst Park. ​And of course John Lennon recorded his IMAGINE album there with the brilliant contributions of George Harrison, Nicky Hopkins, Klaus Voormann, Alan White, Jim Keltner, and others. All three of those albums were co-produced by the genius Phil Spector whose priceless contributions are beyond measure. A: Who did you interview that had a connection to the house? The interviews ran all across the board. Architects, contractors, gardeners, friends and family members of previous residents, and a vast number of many magnificent musicians who recorded at Ringo's Startling Studios including Keith Smart, who was with M.I.5. at the time, and Ron Kelly whose group Stormer was signed to Ringo O' Records. Drummer Jerry Marotta was a great interview. Great personality! I loved speaking with him. Chris O'Dell was also great. She is such a smart and charismatic lady with awesome memories, many of which she shared in her biography entitled, "Miss O'Dell: Hard Days and Long Nights with The Beatles, The Stones, Bob Dylan and Eric Clapton. It is a must-read for any Beatles' fan.Miss O'Dell: Hard Days and Long Nights with The Beatles, The Stones, Bob Dylan and Eric Clapton Last Spring I travelled to Atlanta specifically to interview Pattie Boyd to clear up some remaining questions I had about Friar Park. She is another lovely, and charming lady that was a joy to spend time talking to. I assume most people reading this are familiar with her excellent autobiography, "Wonderful Tonight: George Harrison, Eric Clapton, and Me​.​"
We spoke about Tittenhurst Park, too, since she had visited there. I think she liked that I was probably among a very small group of people she has spent any time with who did not ask her a single question about her ex-husbands. In reference to Friar Park, for example, my questions were about things like the size of light switches, and doorknobs! Don Powell from SLADE is cool beyond words. It would be impossible to overstate the appreciation I have for the generous assistance of Mike O'Donnell & David Tickle. They answered so many questions that no one else possibly could. I think like so many others that I interviewed, they were probably a bit astonished that I never asked them a single question about Ringo, or his family, or any personal matters that would violate anyone's privacy. Most of my questions were about the studio, location of rooms, etc. so that I could put together a proper layout of the spaces, etc. All in all, everyone I interviewed offered me their own priceless jewels that gleam brilliantly in a vast treasure chest of memories of Tittenhurst Park. Q: The Beatles' houses are a really great topic that many of us here like. You have already written books about the Dakota and Friar Park and now Tittenhurst. What house could be next? ​A: I am so glad you asked that. My background is in architectural history and design. I have always been fascinated by how creative people live and work. Design psychology is something I write and consult about. But I was not sure if there would be much interest in the Dakota and Friar Park in the way that I handle the subjects. That is, showcasing their beauty, and not delving into the personalities and personal lives of those who lived there. ​So I was just kind of testing the waters with those books to ascertain interest, and the response was incredible! So in the future I plan on tackling those subjects again with a similar treatment as these TITTENHURST PARK books.​ And by that I mean beautiful limited edition books with gorgeous glossy paper, hard covers, slip cases, flowers, fireworks, the whole shebang! But until then, I have been developing a book on the history of some of the commercial and residential recording studios in the UK that were built in magnificent historic manors. Q: How can readers order your book? When will be available? Anything special fans need to know about ordering this great book? ​ The whole landscape of the publishing industry has changed so much, and there are more options available now than ever before. I like the collaborate effort of having a team of illustrators, artists, graphic designers, photographers, researchers, etc. working together, and it seems like a cool idea to be sort of collaborate with the readers, too. So right out of the gate, we thought it would be cool to give Crowdfunding a whirl. What that means is this: We have an ambitious vision to publish all 3-volumes together, in a specially-designed slipcase, in a limited edition of 2,500, all signed and numbered, and offer something quite unlike anything anyone would typically expect. The books are very graphics-heavy. There are all sorts of floorplans and site plans, and images of some of the botanical wonders that John & Yoko & Ringo and their friends and family were able to enjoy, and reprints of vintage articles about Tittenhurst Park. Much of the text is written like a time-traveling adventure! They are like walking tours so the reader can actually experience what it was like to walk through the gardens of Tittenhurst Park with Mr. & Mrs. Holloway, and float in a hot air balloon over the estate, and actually be at the estate with The Beatles on August 22nd, 1969 during their famous last official photo shoot! So we figured we'd raise the funds to cover some of the expenses to be incurred in this lavish literary production through crowdfunding, and offer some prized perks to those who do so early, and then involve Beatle people with votes on what covers to ultimately choose, and other such decisions that will likely turn out to be quite fun! If all goes well, then we expect to have the books in people's homes in the Fall of 2017. But we need those pre-orders first in order to ascertain interest, so we can create something really special, that they will treasure forever. No one has ever written about the history of Tittenhurst Park before, and it is unlikely anyone ever will again. It was an enormous amount of time and effort, but it was all worth it! 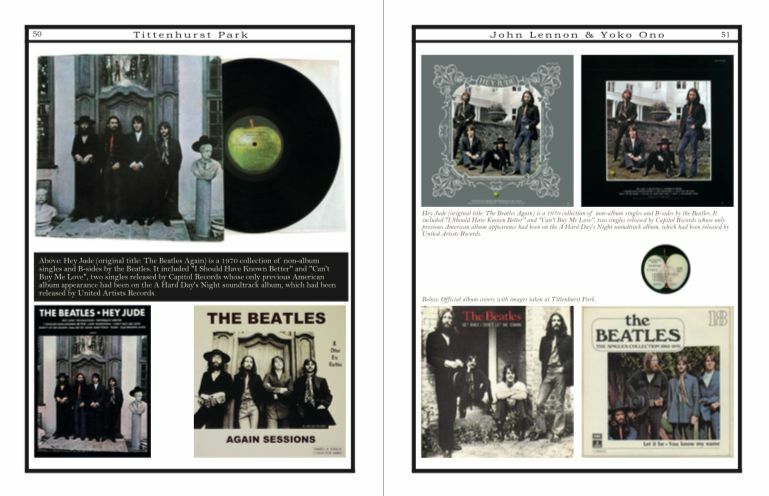 The TITTENHURST PARK books are perfect for collectors, but also for anyone interested in English country homes, historic gardens, rock & roll history, and of course The Beatles. TITTENHURST PARK was put together by and for Beatles fans. We did our part, now we are counting on Beatles fans around the world to help us bring these books out into the light of sunny day, beneath clear blue skies, and into the comfort of their homes where they truly belong. Make sure to mention MTBFR when you order! Thank you for taking the time to talk to Meet the Beatles...for Real! I am sure I can speak for all of the readers when I say that the Beatles' houses are a fascinating subject and we appropriate all of the research you have put into this book. The well known Judas Priest album British Steel was recorded there. I think there is a video out there somewhere - where they talk about using the silverware they found in the kitchen for a percussion track. Great interview! I wonder why I never went to Tittenhurst since I lived in London until late October 1969. I don't remember any of my friends going there, but I am probably wrong - at least one of them must have gone there! I will post this article on my page and send the crowdfunding link to my e-mail Beatle fan list. It sounds like an amazing book - congratulations! Ringo moved into Elstead in December 1968 so the story of John offering Sellers more money in 1969 after he and Yoko got married doesn't sound right - perhaps this story dates from when he first separated from Cynthia the year before.